“I’ll Sleep When I’m Dead,” a new documentary on the life of influential DJ, music producer, and record label founder Steve Aoki, will be screened at the Japanese American National Museum, 100 N. Central Ave. in Little Tokyo, on Tuesday, Sept. 27, at 7:30 p.m.
Free and open to the public, the screening will be followed by a discussion with Aoki led by Mike Shinoda of Grammy Award-winning rock band Linkin Park. 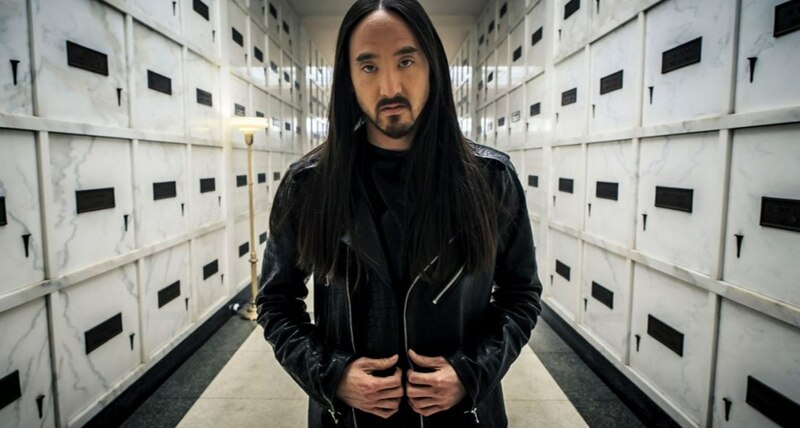 “I’ll Sleep When I’m Dead” was shot over the course of three years, during the making of Aoki’s 2014 “Neon Future” double album. As it follows Aoki’s journey to play the biggest show of his career, the film tackles his complex yet loving relationship with his later father, legendary Benihana restaurant tycoon Rocky Aoki, and his struggle growing up Japanese American in Southern California during the 1980s and ’90s. This bittersweet film reveals how the weight of parental expectations paired with the search for personal identity created one of the most prominent Asian Americans in pop culture today. From the main stage of the Tomorrowland electronic music festival in Belgium to intimate gatherings at his family home in Japan, the movie offers an inside look at one of music’s most outstanding characters. The story is complemented by interviews with Aoki’s mother, Chizuru Kobayashi — another major influence in his life; supermodel sister Devon Aoki; and musicians and contemporaries including Diplo, Tiesto, Afrojack, Laidback Luke, Travis Barker, Pete Tong, and will.i.am. The film premiered to a sold-out audience at the Tribeca Film Festival this past spring and is now available on Netflix. RSVPs are required. To reserve a seat, visit http://janm.org/steve-aoki. A limited number of seats are reserved for JANM members, who can contact [email protected] or (213) 830-5646 to RSVP.